It may not be free weekend over here at Apple Repo, but it sure is classic weekend. 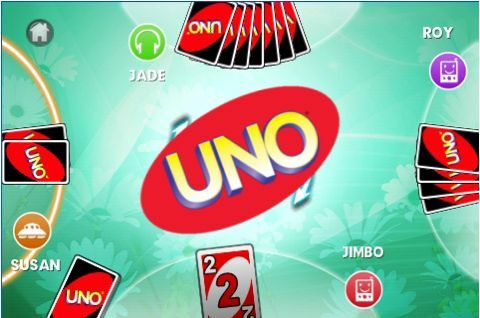 Yesterday we talked about Frogger for the iPod Touch and today we bring you UNO for the iPod Touch. Remember UNO? Of course you do, everyone does! That fun game with the bright colors and the symbols and letters. Miss a turn, pick up five, or switch the other way around the circle. There was no doubt that when someone brought out that deck of cards, the match was on and it was going to be a good time getting to see who was winner! UNO for the iPod Touch brings you all of the excitement of UNO, and all in the palm of your hand! UNO card game for the iPod Touch works just as it did when you were a kid. Players sit in a circle (or rather, really cool graphics on your Touch screen), and you take turns laying down cards and at the same time, your strategy, to make sure that you’re the one that ends up saying “UNO!” just before smacking down your last card. The touch controls are so easy to use, simply drop and drag your cards however you want to play them. And you can practice your game in single player mode, but then try to challenge your friends in a friendly online competition during multiplayer mode. This unique feature truly makes playing UNO on your iPod Touch as exciting as it was when you were a kid! UNO game for iPhone and iPod Touch is not available for free, unfortunately. But, you can get it from the Apple App Store for only $4.99. Not a bad deal when you consider the hours of fun that this classic card game is going to give you. Oh, and we didn’t even mention tournament mode. Be warned: it’s only for highly skilled UNO masters! Grab this card iphone game here!